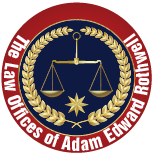 Welcome to the online home of the Law Offices of Adam Edward Rothwell. We set up and regularly change content on this dynamic, legal website to better provide you with comprehensive, straightforward and valuable information that can help you make informed decisions. We are a full-service law firm with clients throughout the United States and world. The ongoing goal of The Law Offices of Adam Edward Rothwell is to offer valuable assistance that benefit clients on multiple levels. Please browse this site and contact the firm with any questions.